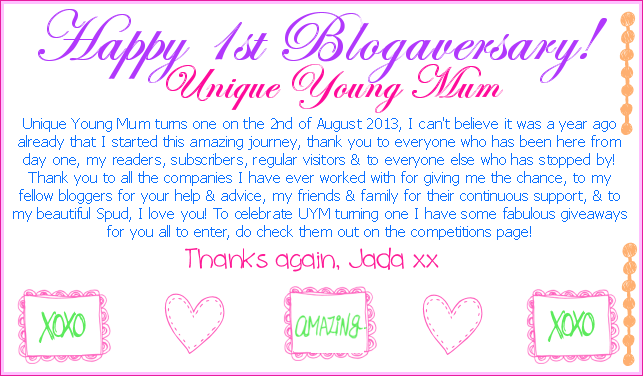 To celebrate Unique Young Mum turning one today (2nd of August) I have a number of competitions coming your way, I now present you with the silver competition. The silver competition has 5 winners and each winner will receive 5 items in their prize. The prizes can be found below on the graphic board, I just want to say a massive thank you to Popagami who have provided the Popagami book sets, WOW Toys for providing the RSPCA Pocket Pets and Bazooka Candy for providing the candy, I purchased the other two items (Toy Story 3 mini surprise bags and Disney Pixar magic face cloths. I have 4 of the 5 items all 5 winners will receive, WOW Toys will send out the RSPCA pets directly to the 5 winners so you may not receive all the items at the same time. If this changes I will update this post.